Expand Your Percussion Kit with a Top-Notch Soprano Snare Drum That Will Add That High-End Crack to Your Sound That Every Drummer Craves! 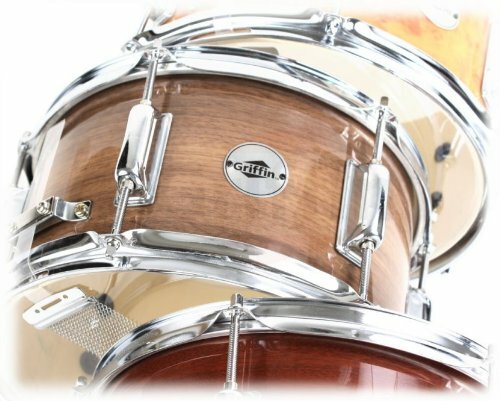 Are you looking for an exceptional secondary or even main popcorn snare with a uniquely brilliant tone? 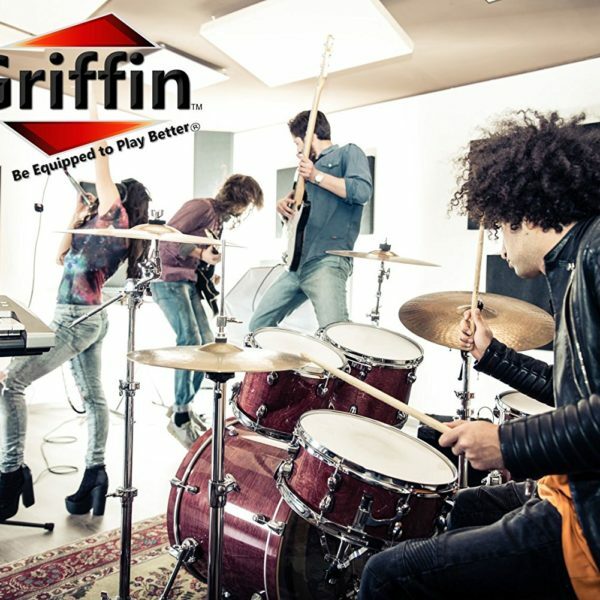 Would you like to experience that awesome, rich and bright snare drum sound that professional drummers have? 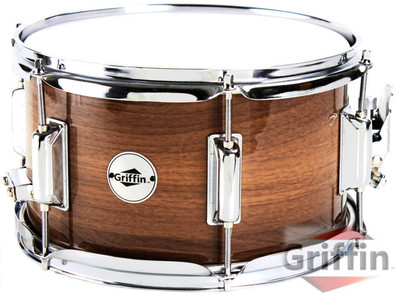 Then look no further than this deluxe firecracker snare drum by Griffin! Boasting a deep, 6″ shell and wide, 10″ diameter that gives the drum an amazing, warm and punchy sound with singing resonance, while still maintaining the explosive brightness of the regular snare, this is a musical instrument that shouldnt be missing from any drummers kit. 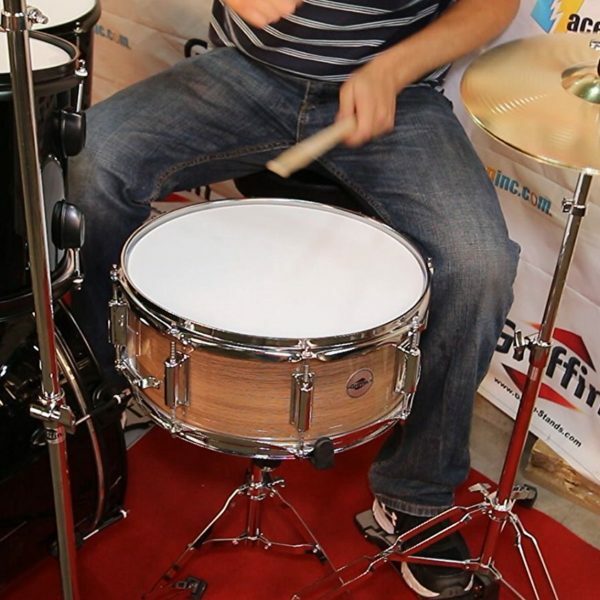 Invest In a High Quality, Well-Built Firecracker Snare Drum That Wont Let You Down! 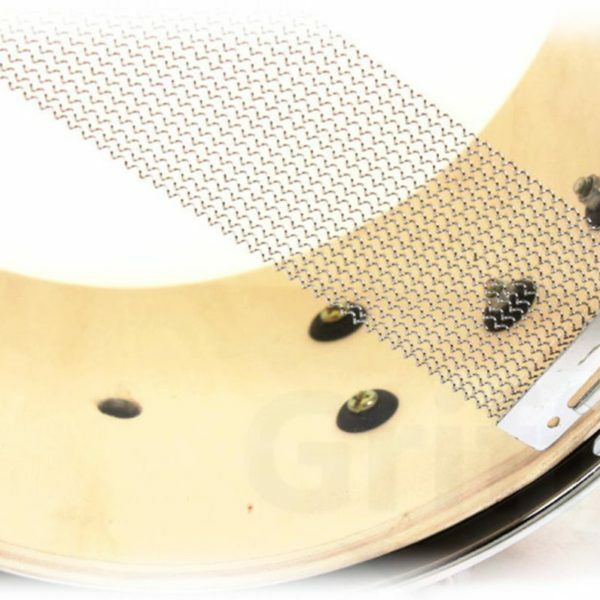 Great for anyone, from beginners and students to professional players, this deluxe popcorn snare drum will add high-pitched, beefy cracks to your fills and accents. Make a Smart Purchase That You Wont Regret! You will not find this quality at such a low price anywhere else on the market! Backed by a hassle-free money back guarantee of complete satisfaction, you have nothing to lose! 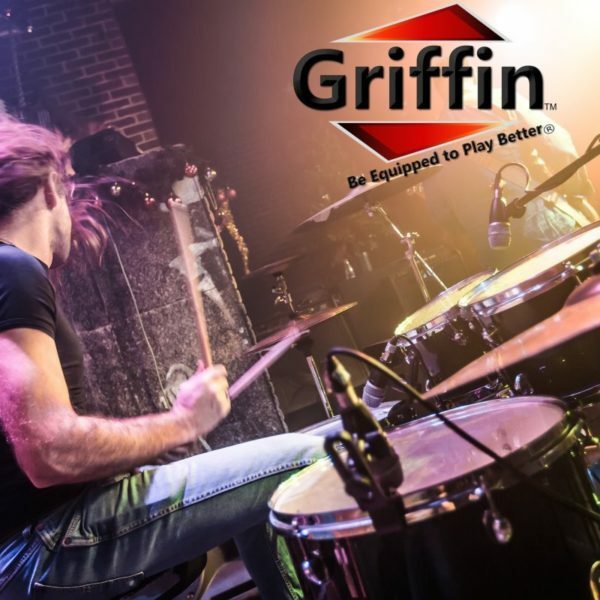 ADD AN EXTRA SNAP TO YOUR DRUM KIT: With a brilliant attack, a nice, punchy, warm crack and singing resonance, this 10″ x 6″ popcorn snare drum promises to amaze you with its awesome sound every time you strike it! If you like a snare drum with great sounds all over the head, then look no further. Use it as a main or auxiliary snare and add depth and color to your music! 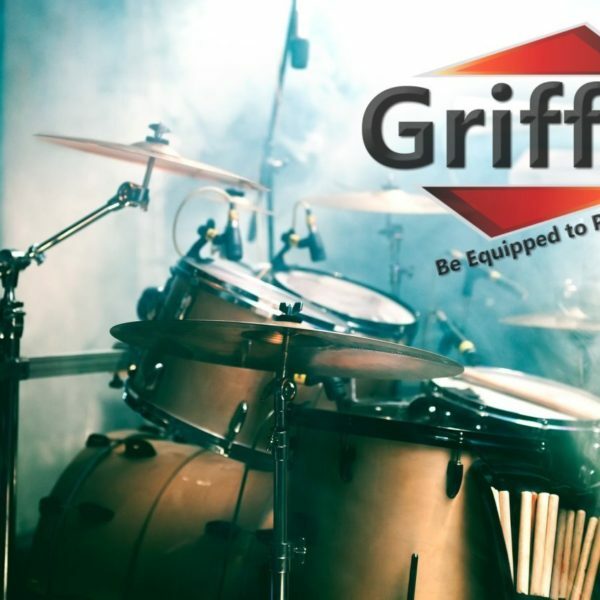 Great for rock bands, acoustic shows, concert, church drummers or school performances, it won’t let you down. GET AMAZING SOUND IN ALL 6 TUNINGS: Due to its extended depth and diameter, this soprano snare drum offers a uniquely rich and warm sound (higher than regular or piccolo snares), while still maintaining the explosive clarity that you’d expect from a snare. Featuring 6 extra durable tuning lugs that won’t break on you, this soprano snare drum promises stable, high quality sound in all tunings, no matter how low. DELUXE THROW OFF: Thanks to the premium quality, deluxe throw off, you can easily tighten, loosen or even mute the snares according to your preference, without worrying about the strainer going loose while you’re playing. 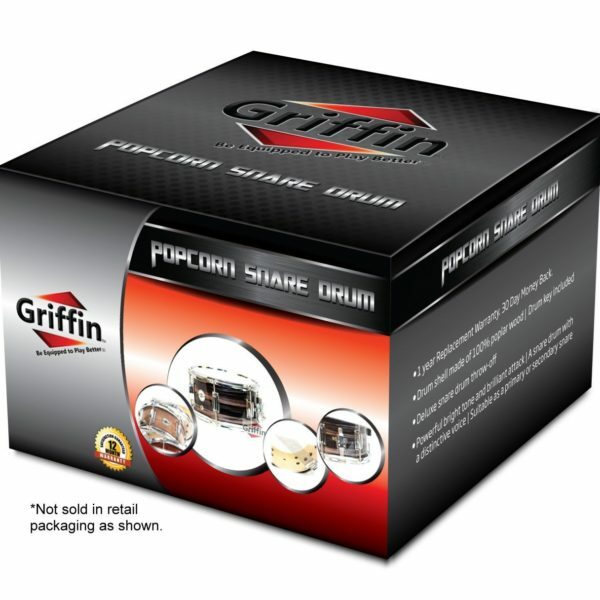 A must-have drum for beginners and students to professional musicians, this popcorn soprano snare drum comes with complete with a drum key at a jaw dropping price that you won’t find anywhere else! Snare wire: 10 strand. Hardware finish: Chrome. Gross weight: 4 pounds. UNBEATABLE LOOK: Boasting a 3-ply, 100% poplar wood shell with 7.5mm thickness and a beautiful, glossy black hickory wrap, this popcorn snare drum offers exceptional volume and richness, as well as an amazing style. The white coated head and meticulous attention to detail will make this musical instrument one of your favorites in your percussion kit. Well-built to last for years to come, you can be sure, you won’t ever want to replace this soprano snare with another drum! 1 Year Warranty: We are so confident about the quality and outstanding performance of this firecracker snare drum that we are able to offer you a complete piece of mind 1 Year full factory warranty which is included with all new purchases.